Very easy. Get into a low enough tax bracket of 15 percent or less for earned income. .
Oh - there's a solution - make less money so you're in a low tax bracket. Riiiiiiight. Just another political attack, full of inaccuracies, intentionally ignoring logic, ignoring the lessons of economics, and twisting even simple if-then-else analysis, engineered to rile up the simple minded and to engender tribal conflict. You and the other missed the whole point. It is about how income is distributed by the business entity and the different ways in which the tax code treats income. There are different ways to receive income from an enterprise that you control. If you have employees, you can do the same for the key employees. There are also ways to do it as a passive investor. If you plan to sell a large amount of stock and you don't want to pay taxes, you can buy protective puts to avoid selling them until the gains are classified as long-term. It results in a much lower tax rate, even zero percent, while you get to write off the minimal cost of the insurance to protect the gains. Last edited by lchoro; 09-20-2018 at 10:27 AM..
my cousin married a venezuelan. their fuel is like 50¢ a gallon. venezuela seems fairly self-sufficient and mostly middle-class ? It used to seem so. Not anymore. I recently read an interesting article, and wish I knew where. Maybe in National Geographic.Part of their problem is that oil prices dropped a few years ago, and that's what their economy was based on. The bigger problem is that the government had taken control of the oil industry and all of the decisions. The oil, though plentiful, is not the type easily extracted, and the government removed the very ones who knew how to do it. Venezuelan people are hungry, and Venezuelan farmers are struggling. They struggle to buy fertilizer for their crops and feed for their animals. Then they have to sell what little they can produce at low, controlled prices. The article I read gave the example of a chicken farmer who used to have a huge number of chickens producing many eggs. Because he can't afford feed, he now has only a small number of chickens, and the eggs are sold at a loss. Toward the end it mentions a baker whose monthly wage is $5. That's five dollars for a month of work. (That's ten gallons of that cheap gasoline. If my income were ten gallons of gas, I'd make about $31/month.) On that he supports his wife and children. And a little bit of information from wikipedia: in 2017, Venezuela's poverty rate was about 80%. I'm not sure I understand your question. Someone pointed out that if you're in the 15% tax bracket (which is to about 90k for a married couple filing jointly) then dividends and capital gains are taxed at 0%. I verified this is correct, since our income is from investments and we do indeed pay no federal income tax. Now you want me to tell you how someone who is not in the 15% tax bracket takes advantage of this? I never claimed they could. 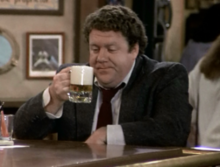 At least the guy resembled Norm Peterson from Cheers. You might know a little about this stuff. Enough to be a bit dangerous. You can't time your stock option sales to take advantage of any capital gains because that part is taxed as ordinary income. The only part that is even taxed as capital gains is if you take possession of the shares and then hold. Most people don't do this because then they are overweighted in their company. The full amount is taxable when you sell. So, let's say you have $5000 in stock options vesting tomorrow. Then you sell next week. You pay full fare (ordinary income tax rates) on the $5000. If there is a gain above the $5000, you pay short term cap gains on that amount. If you hold it a year, you pay long term capital gains. That's nice. I was talking about the person you responded to. Which is why I used the word "other poster" as opposed to "poster." Perhaps you should have been studying a bit more reading comp while doing your CPA. lol. Fair enough. What's funny is that my husband IS a CPA AND kinda knows how taxes work. I am not a CPA and I know a lot more than he does about it all. He doesn't do tax returns. He does corporate. (Most likely one of my offspring was buzzing in my ear while I was typing). Last edited by lchoro; 09-21-2018 at 04:32 PM..